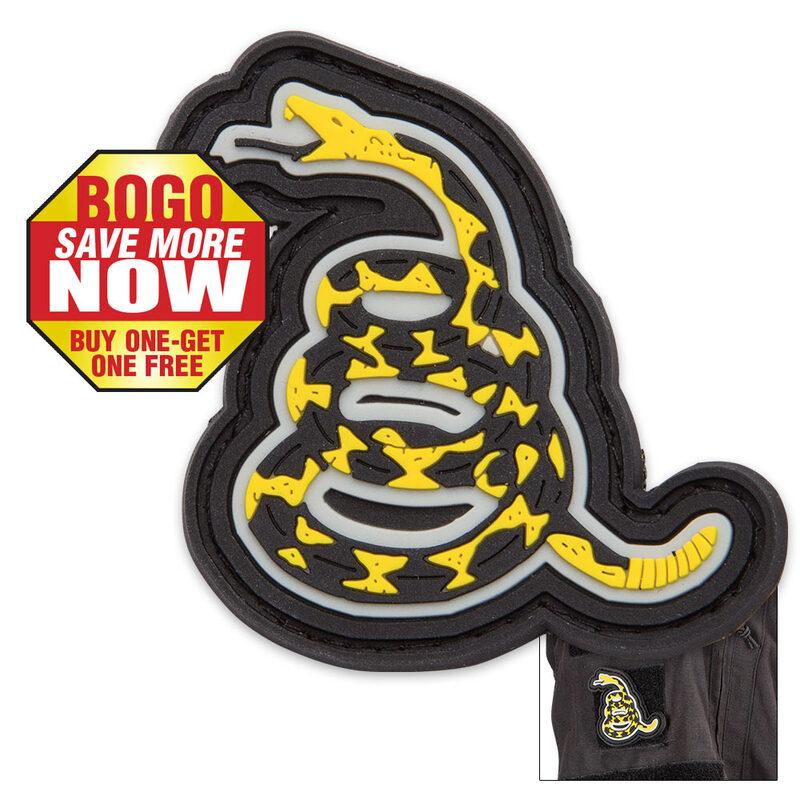 Our Don’t Tread on Me PVC Patch takes the iconic coiled rattlesnake of the Gadsden Flag and frees it from the constraints of the flag. 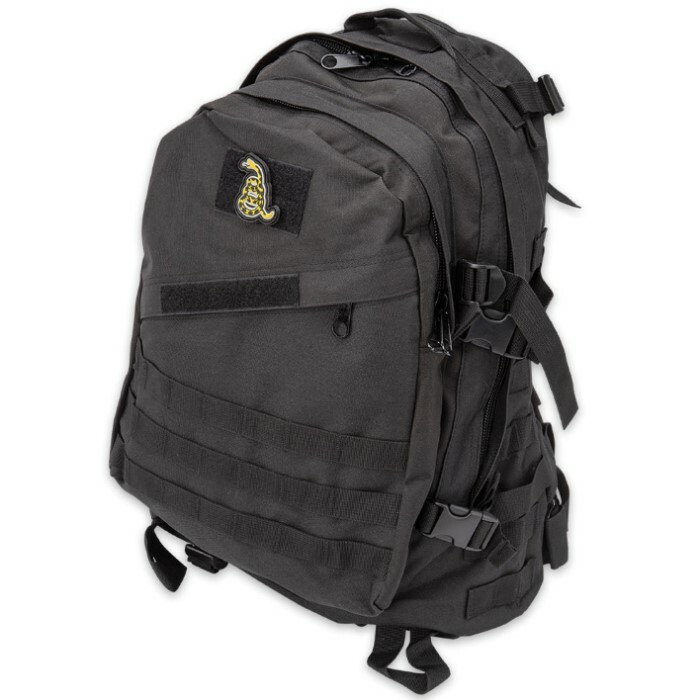 However, the snake-shaped patch is in yellow as a nod to the flag’s yellow background. 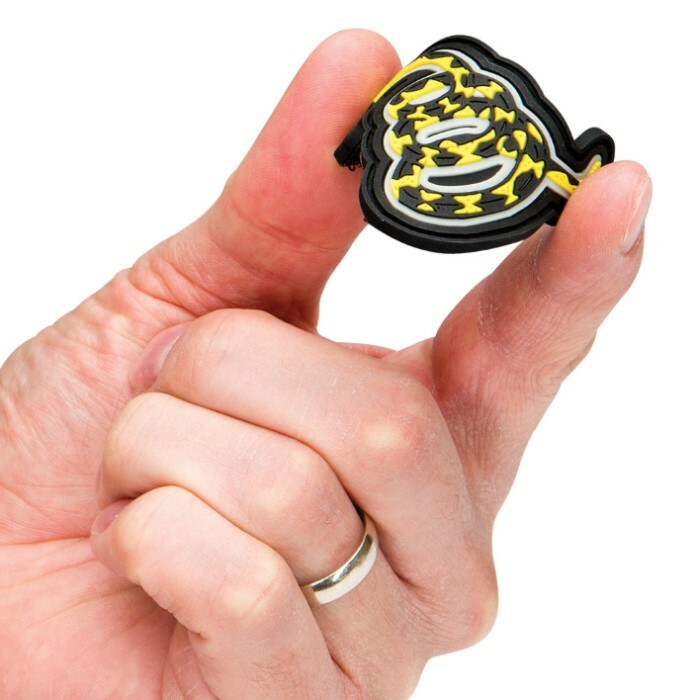 It’s made out of PVC with a Velcro backing so that it can be easily attached. Its dimensions are 2”x2”. Buy one, get one free!